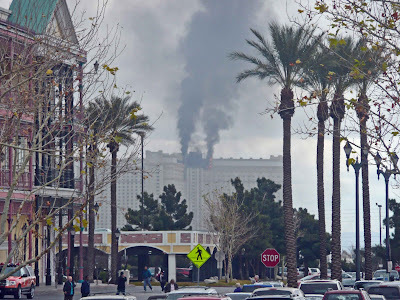 Of course the talk all over Las Vegas is the big fire that happened at the Monte Carlo. When we went to lunch today it was well on its way. 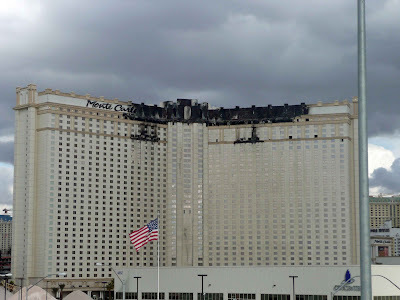 We went the the Orleans and this is where we took this pic. On our way back, we took the highway to get a better view of what had happened. It seems that no one was hurt which is a great thing. 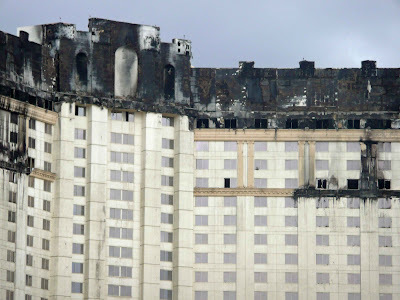 It's just crazy to see a building like that on fire. Once in a blue moon occurrence thank God. Wow, that is so scary. Glad to hear that no one was hurt. Just wanted to let you know that I absolutely adore your clever flower pendants! They are brilliant!!!! !